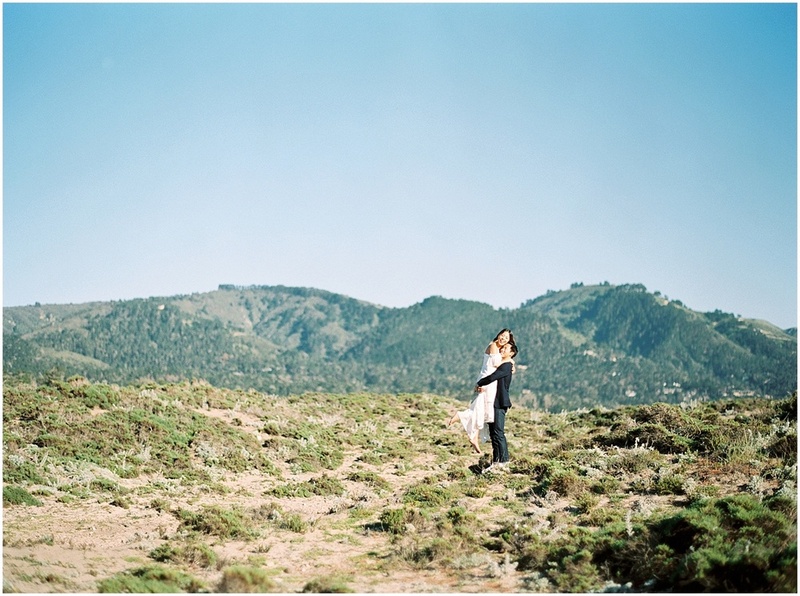 When you're photographing the engagement session of a couple whose wedding is taking place in Tuscany, Italy, there is quite a bit of pressure to find a location for the shoot that can measure up. Luckily, the California coast offers scenery worthy of such a task. 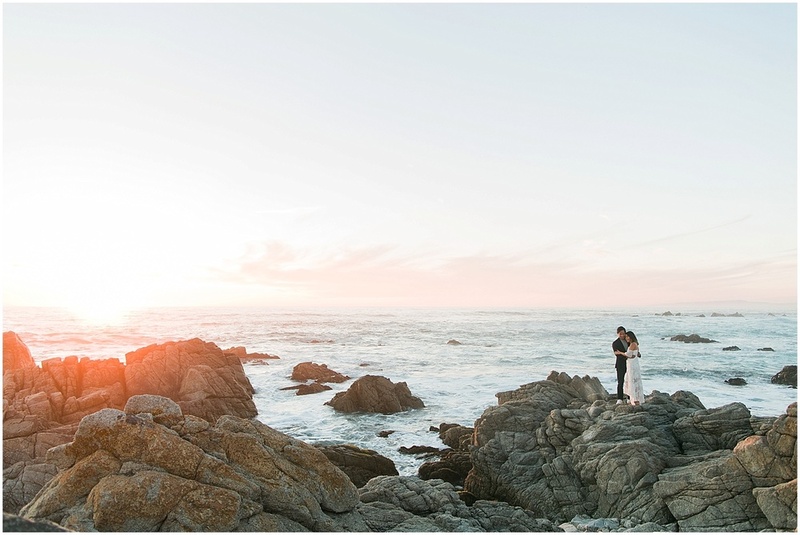 Bruce and Annie visited Carmel on one of their first dates so they decided to commemorate the special time they spent together in the early days of their relationship by photographing their engagement session there. 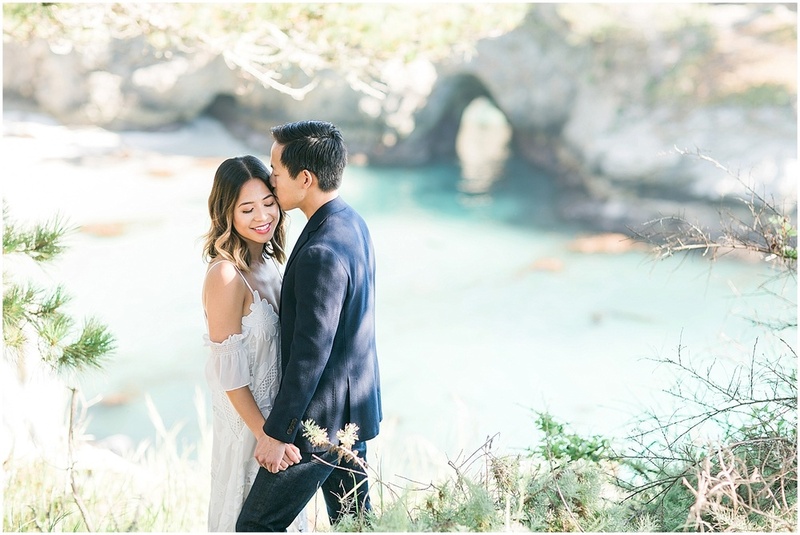 The jutting cliffs against the rolling sea of China Cove in Point Lobos creates a beautiful juxtaposition and an even more spectacular background for photos! It's safe to say that the hike to this magical location was well worth it! 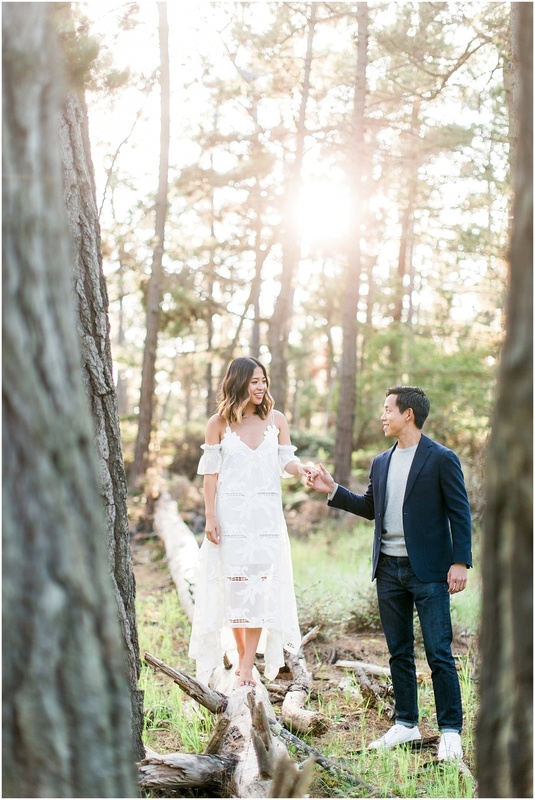 After leaving Point Lobos, we ventured down the tree lined 17 mile drive down to Pebble Beach, where we finished a beautiful shoot in the light of the sunset. Congratulations Bruce and Annie and I cannot wait to see photos from your Italian wedding!